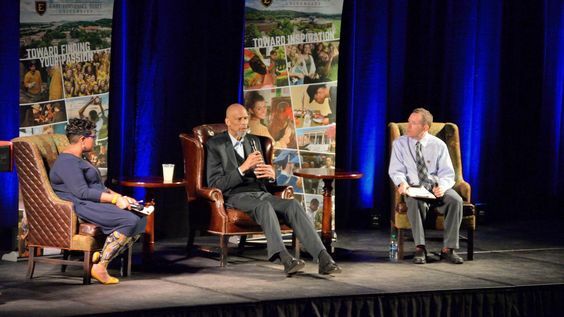 The NBA’s all-time leading scorer, basketball Hall of Famer, six-time NBA champion, author, filmmaker and activist Kareem Abdul-Jabbar visited ETSU on March 28 for a Q&A. The session was co-moderated by Carshonda Harris, director of the Multicultural Center, and Stephen Marshall, chair of the Media and Communication department. The forum took place in a packed Brooks Gym and was part of the university’s annual Civility Week. This year’s theme was “Dialogue Across Division,” highlighting civil dialogue to break down current barriers and divisions of society. Adbul-Jabbar, an avid reader, started off early in the night listing W. E. B. Du Bois and James Baldwin as authors people should read, stating that Walter Mosley is his favorite. Abdul-Jabbar also addressed a number of topics including how Dr. Martin Luther King Jr., someone he met multiple times in life, might feel if he saw the country today. Abdul-Jabbar also addressed the history of treatment of African-Americans in the country, mainly in talking about Colin Kaepernick’s protest. The New York Times best-selling author also took to address the surge of white nationalism by stating how the outlook on events like Charlottesville have changed in years past. In the early 1970s, Abdul-Jabbar changed his name from Ferdinand Lewis Alcindor Jr. when he converted to Islam and talked about how being Muslim in America had changed over the years. Abdul-Jabbar went on to address how he feels about President Trump by telling a story of when he was criticized by Trump. 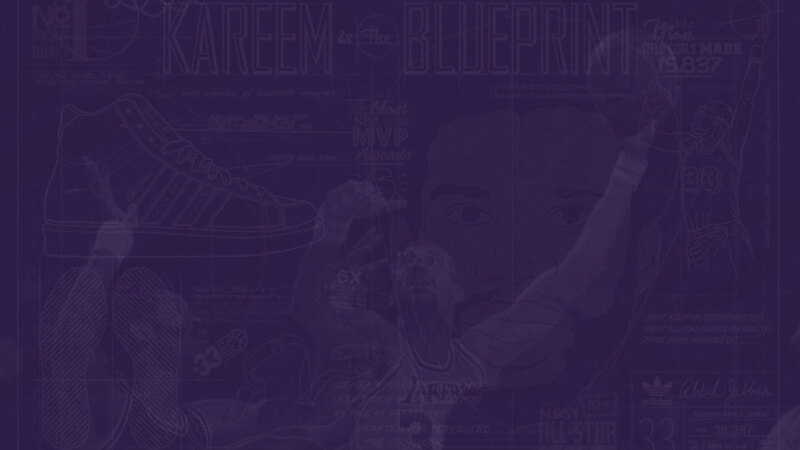 Over the course of the evening, Adbul-Jabbar commented on a variety of things, from how his daily routine has changed over the years to media pressures of an athlete. He reiterated one simple solution to division and how students can engage in activism and discuss with those whom they may disagree with.